Last night on Facebook we actually had BREAKING JAGOFF NEWS all over the place. But in yesterday’s post, we promised we would write about this guy today. For the record, we may need days ADDED to each week so that we can keep up with the submitted Jagoff stories. Be sure you follow us on Facebook or add yourself to our email list! We’re not saying that this guy could NOT have captured a UFO on his video. What we ARE saying is, isn’t it suspicious that he JUST HAPPENED to call this out TWO DAYS AFTER a convention called “The Pittsburgh UFO Bigfoot Conference ended?? ?” (See write-up from JanePitt HERE) Did we check Harry’s wallet for a conference souvenir name tag? This is why WE don’t suggest sneaking into “AARP” conferences for free snacks– because we may suddenly find ourselves getting up to urinate three times due to psychosomatic side effects! 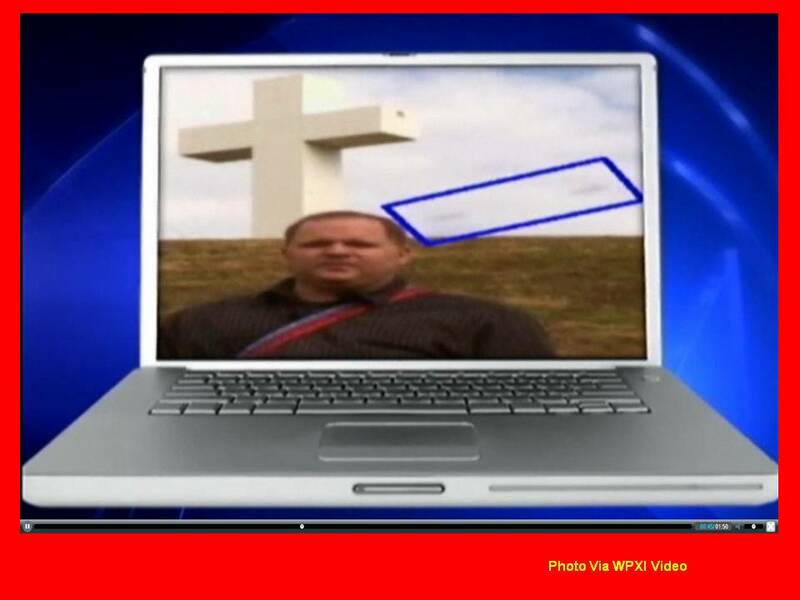 Harry Metz says that while he was filming a guy standing in front of the Jumonsville Cross (literally JUST STANDING THERE as you can see in the video) these two SOMETHINGS speed by the lens. Harry says he only saw it while he was editing the video AND, while they were at the scene, they never heard anything. Hmmmmmmmmmmmmm….Now the Cyril Wecht side of us comes out. 3) Ever see those times when WPXI Traffic Reporter Trisha Pitman shows a traffic camera and there’s a bug on the lens? BINGO!!!!!!! Soooooo Harry-Metz-Sally-And-Possibly-An-Alien, God bless ya for getting this on the news. But we think that you and The-Real-Life-Mister-Bill-with-his-manbag MIGHT have had some seeds planted at the recent UFO conference (hey it was a cool thing to do while the ladies were at bingo). And now your just DYING to be the guys that catch yourselves an alien. PLEASE don’t attend a conference on the Shroud of Turin, we don’t want ya seeing the Lord’s face in a piece of toast. In the meantime, we think you should be a little more practical in your theoryISMS. What WAS that something flying by the lens? Think stinkbugs, Ya Jagoffs! Previous articleIs That A Phone In Your Pocket Or………….